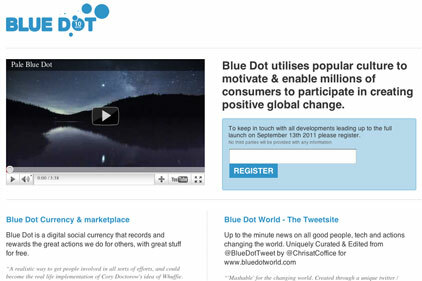 Chris Ward, a previous owner of agency Beatwax, is looking for a social media PR company to help promote his new digital charity venture Blue Dot. Blue Dot is a token-based currency system that records and rewards charitable actions of people and businesses with free products from film, gaming and music companies. It launches in September. The venture is the brainchild of Ward, who after leaving Beatwax worked as the creative director at Comic Relief and for the legacy of the 2010 World Cup. Ward said: ‘I want an agency that purely and simply can get the media to write about Blue Dot and help promote it as a trustworthy brand to consumers. Ward’s aim is to bring volunteering and charitable giving into the age of Facebook and the iPhone by making donating as easy and as quick as clicking 'like' on Facebook.